Three Variations on Goodbye Pork Pie Hat. . . The following really do not need any comment. 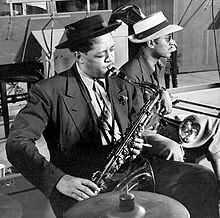 Lester Young, withhis saxophone and his Pork Pie Hat. . .
Next story Pieces. . .